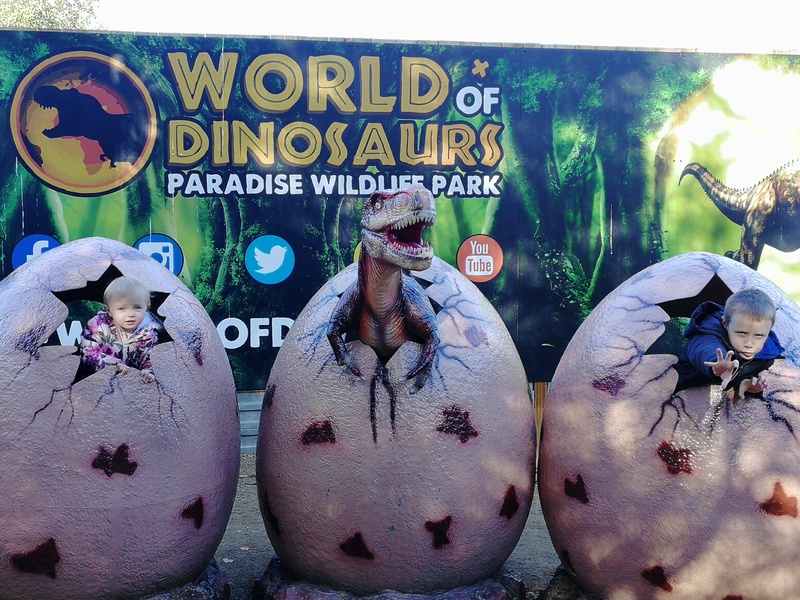 We were kindly gifted with a family ticket into the park. 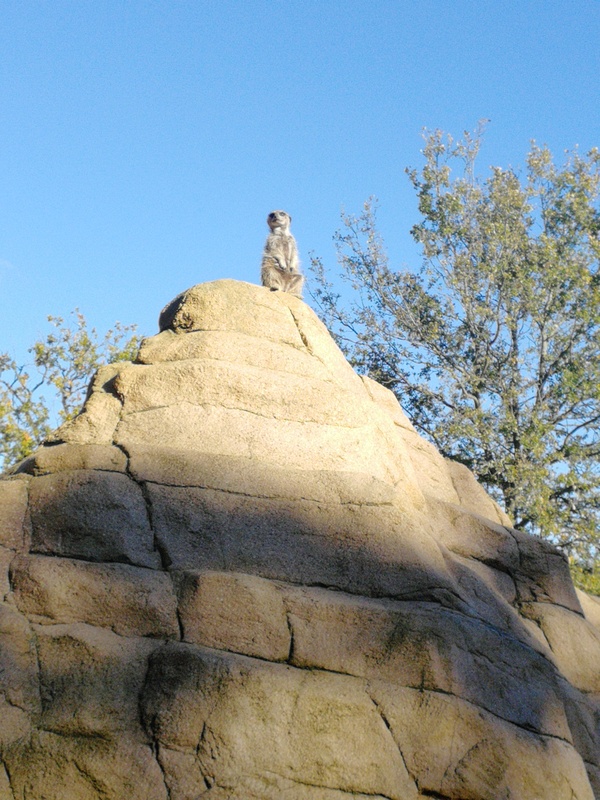 All thoughts and opinions are our own. 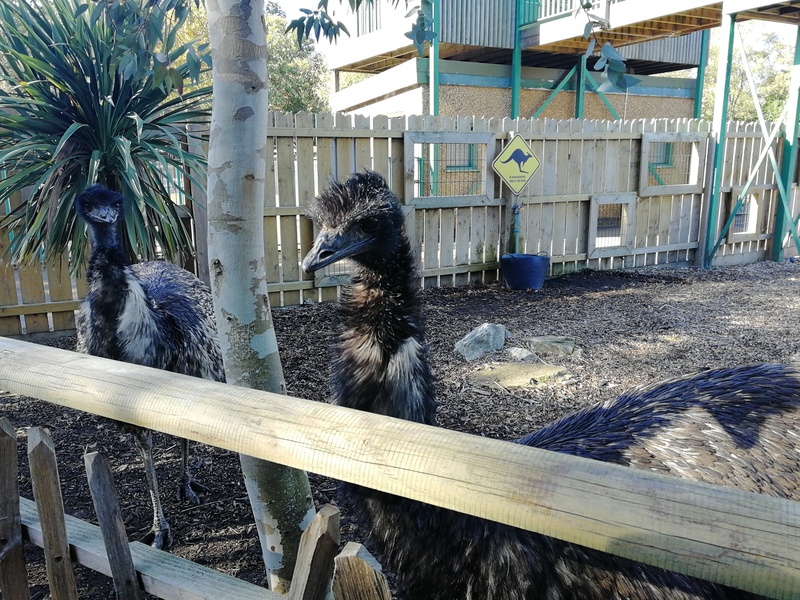 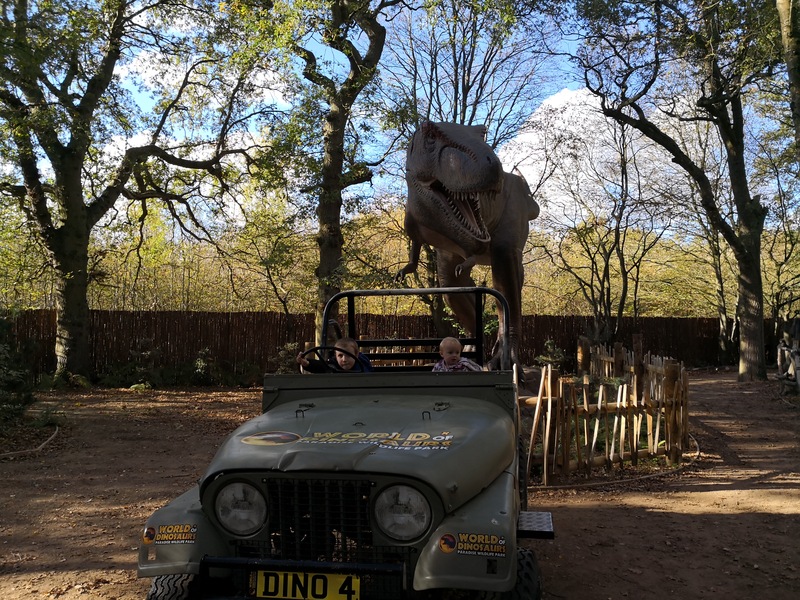 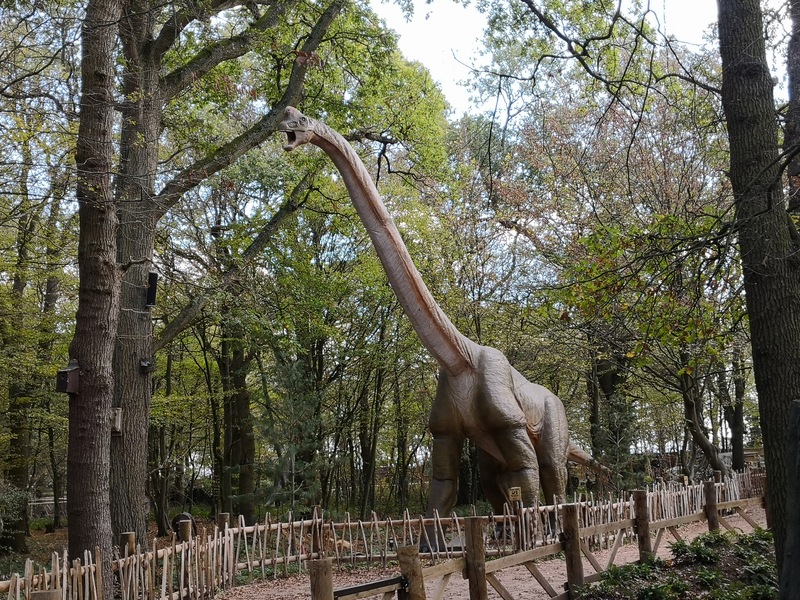 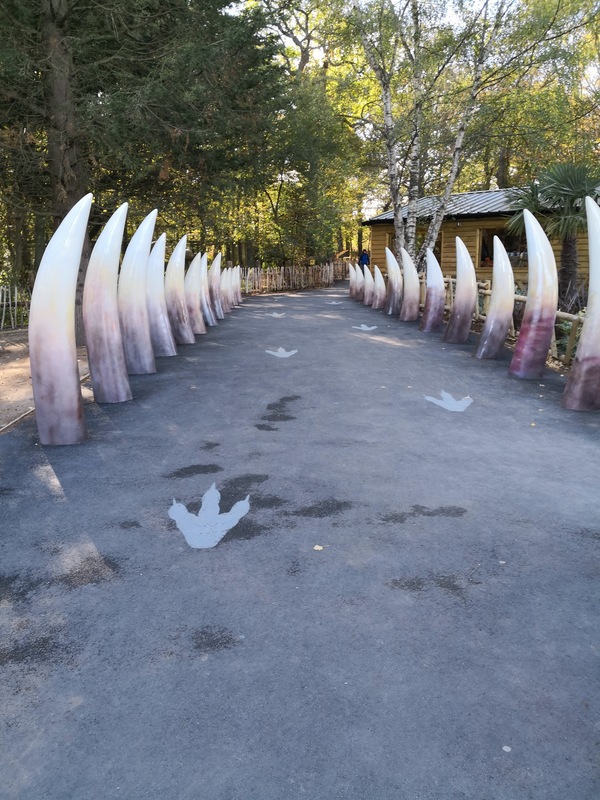 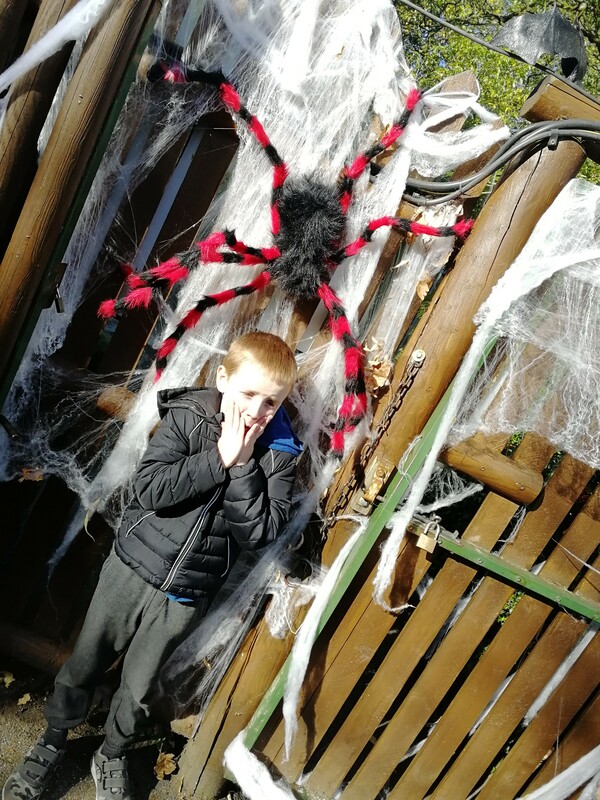 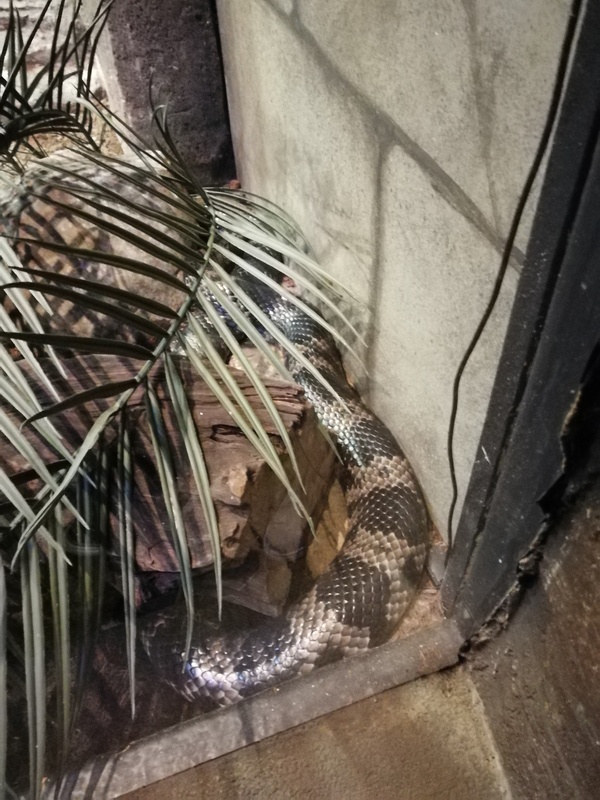 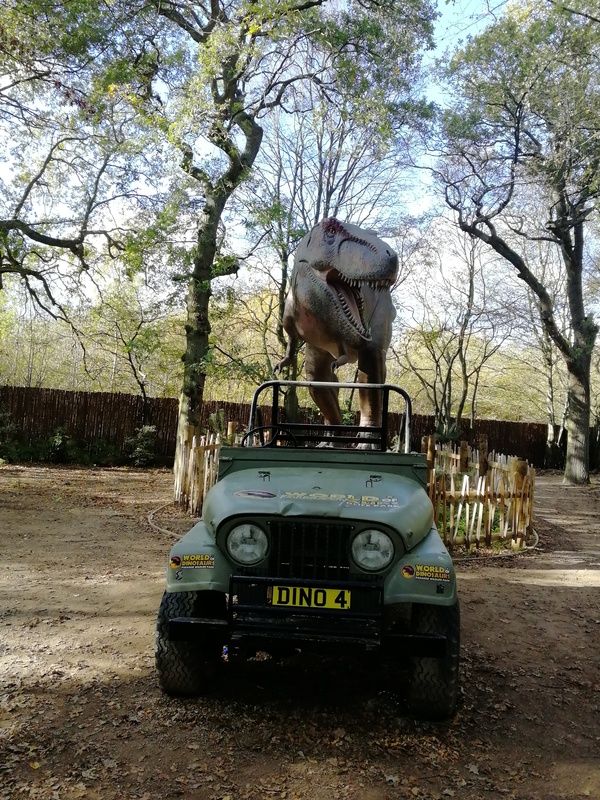 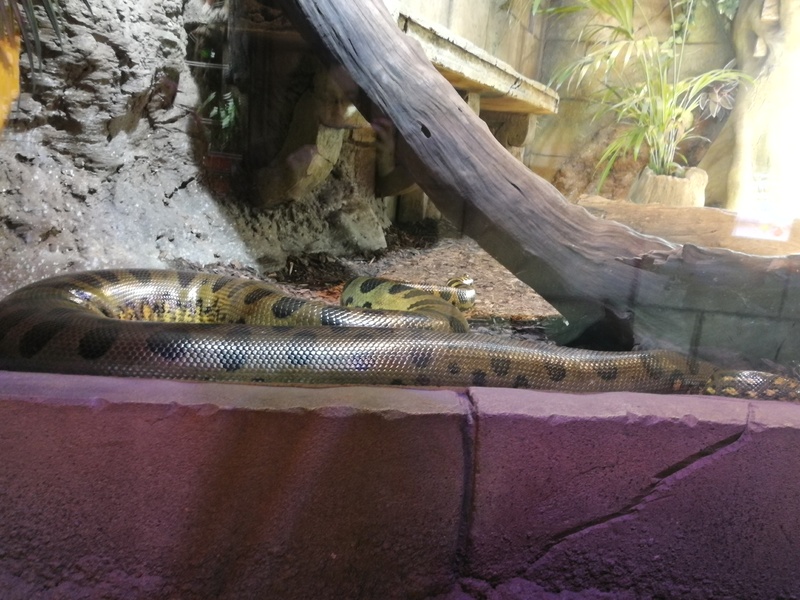 Paradise Wildlife Park is one of our favourite local places to go as a family but we hadn’t been since long before the World of Dinosaurs opened. 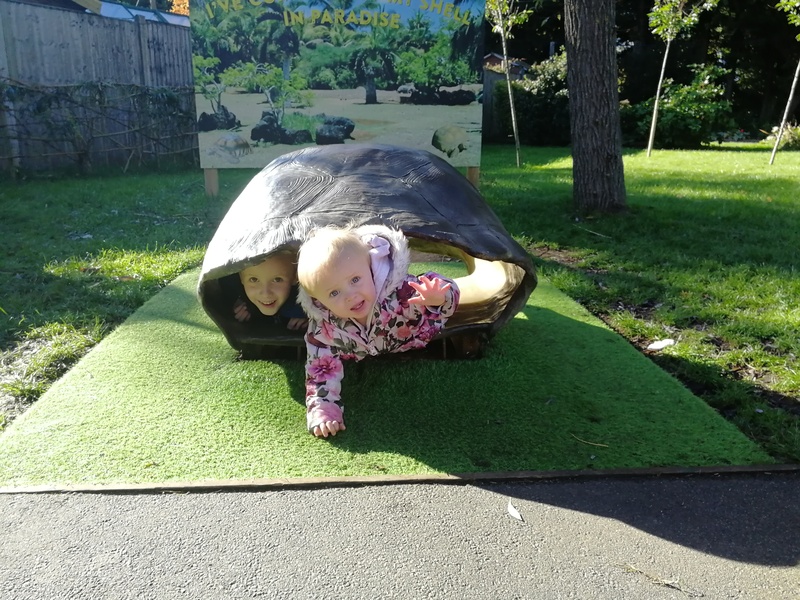 When offered the chance to review a day out at the park, I just had to say yes to see what had changed and how Olivia reacted now she is a lot older and really into animals. 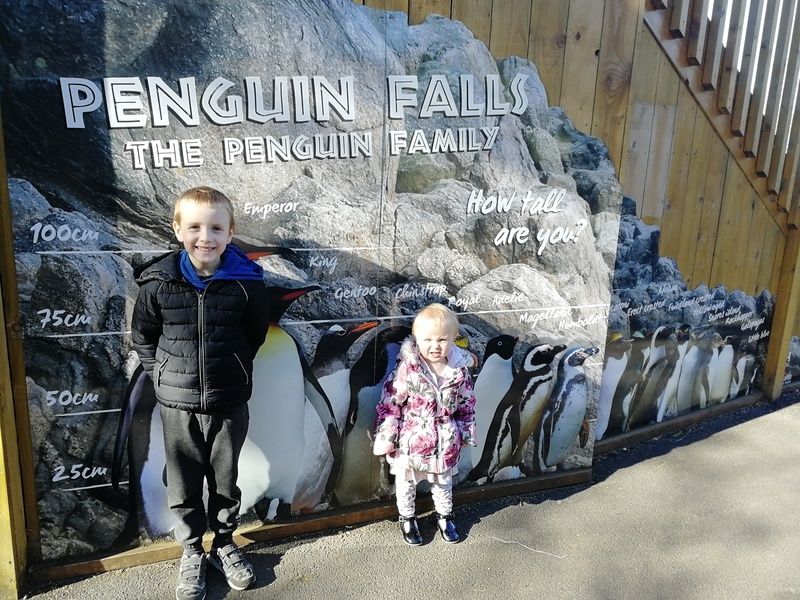 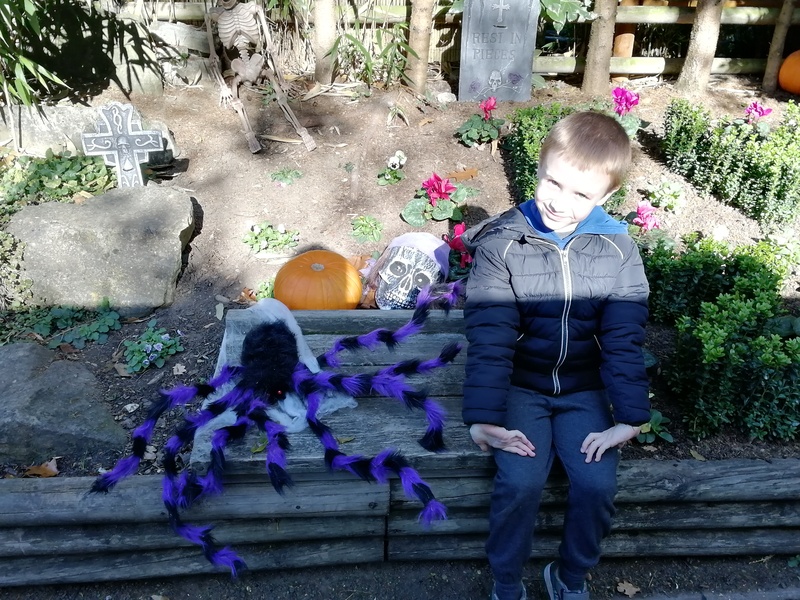 We decided to visit over half term – with Steve working at the school now and Jack there full time, it had to be a day we could all go so we found a date and headed over. 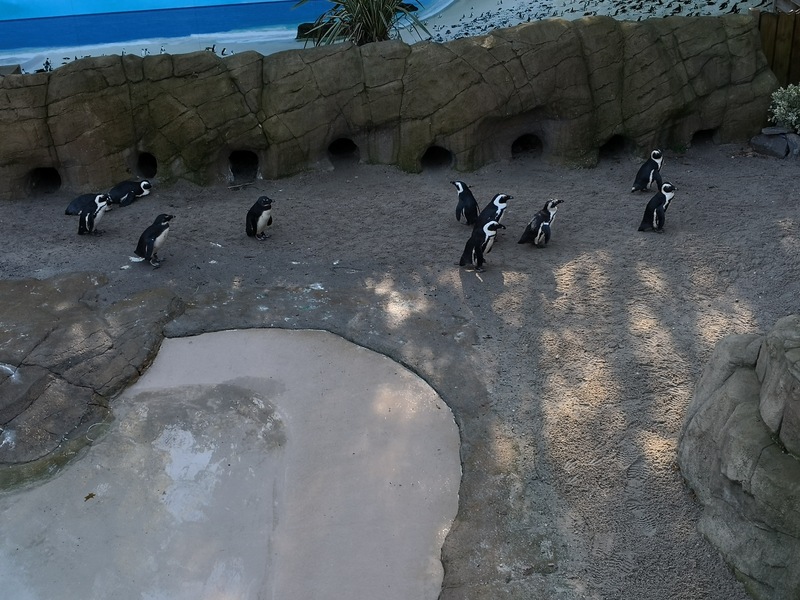 We headed over fairly early and managed to pick a day when it seemed fairly quiet to begin with and steadily built in numbers. 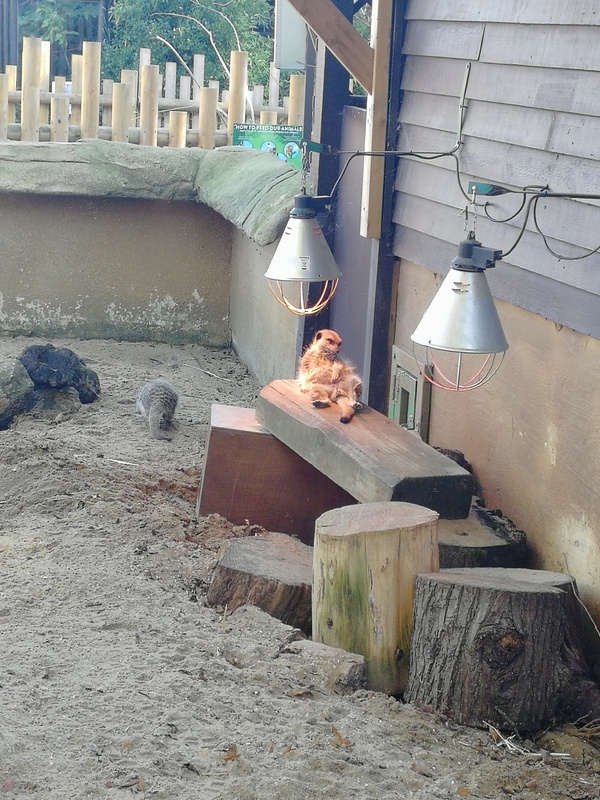 I like it when it isn’t too busy earlier on in the day as there isn’t a few people all clamouring to see the same animals. 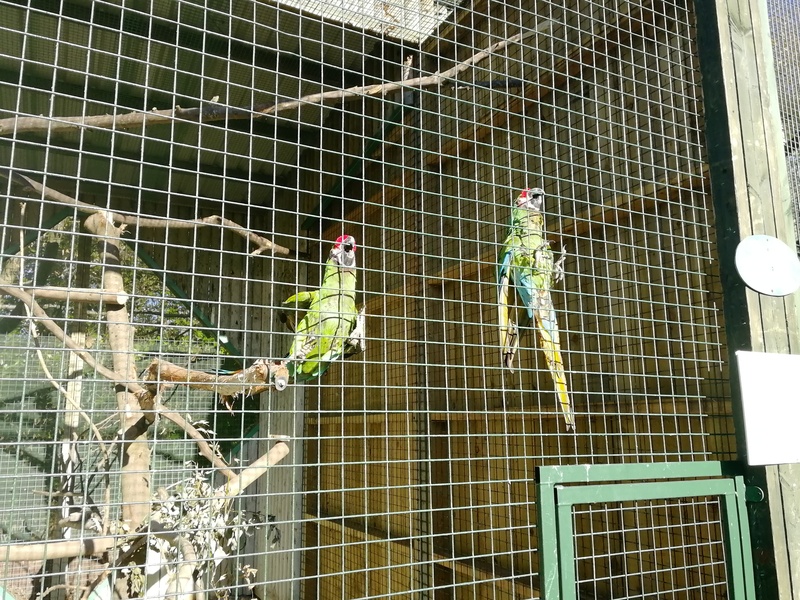 We headed to see the birds first – they were all incredibly beautiful and Olivia loved waving hi to them all! 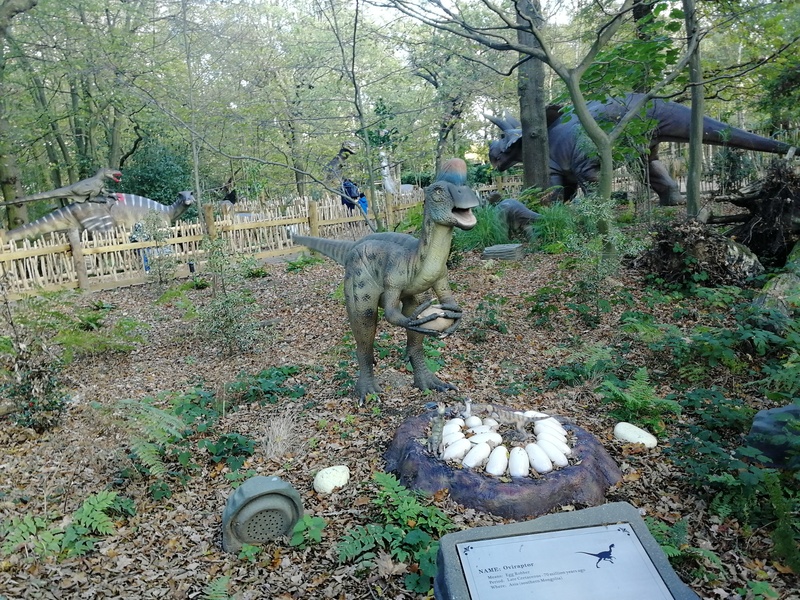 Olivia did keep yelling’ammals’ though so we headed through to see the other animals in the park. 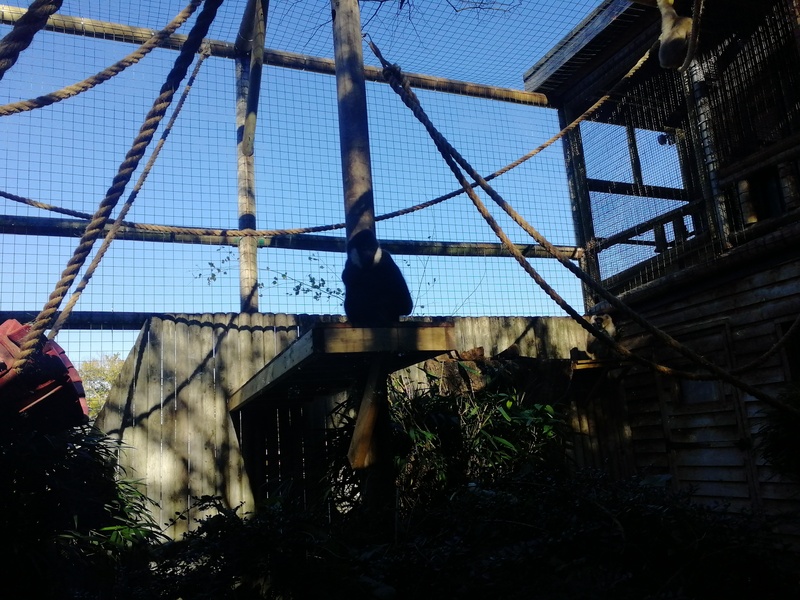 Olivia got incredibly excited to see all the monkeys, big cats and all the other animals the park had. 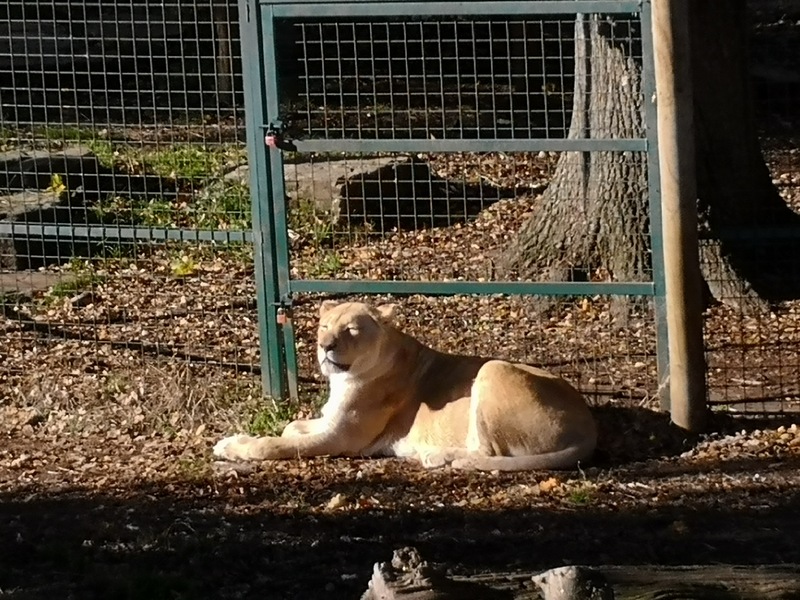 Olivia really loved the big cats, roaring and growling as we looked at the lions, tigers and cheetahs among others. 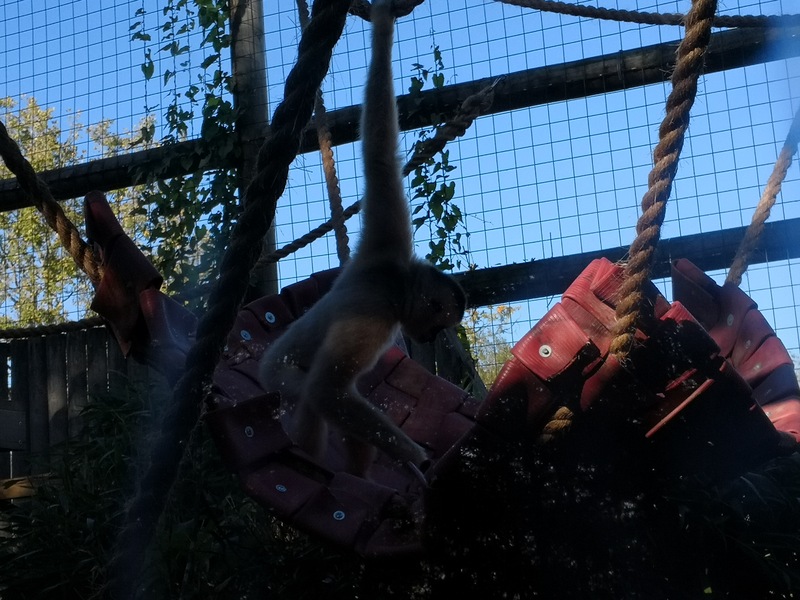 Jack loved seeing the monkeys as always, especially the gibbons as they swung from one side to the other on their ropes. 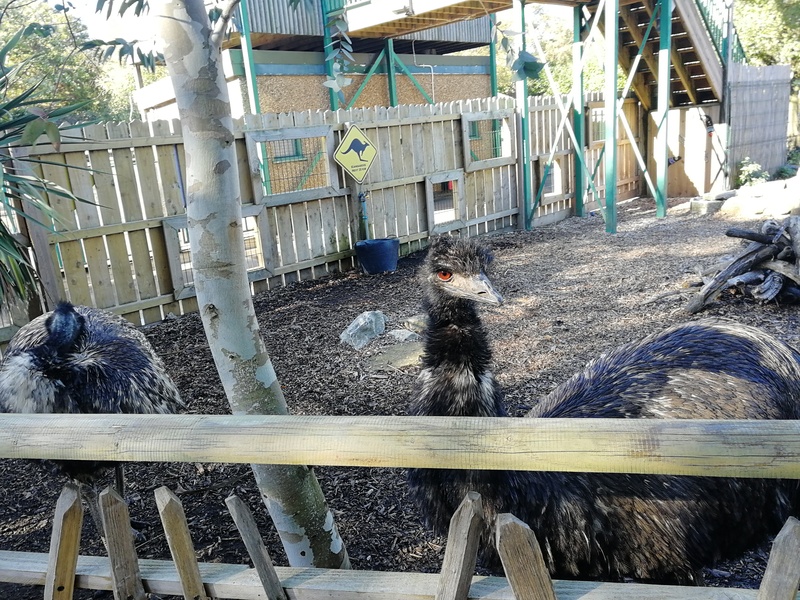 It was so nice to introduce the kids to some animals they may not have necessarily seen before (or don’t remember seeing!). 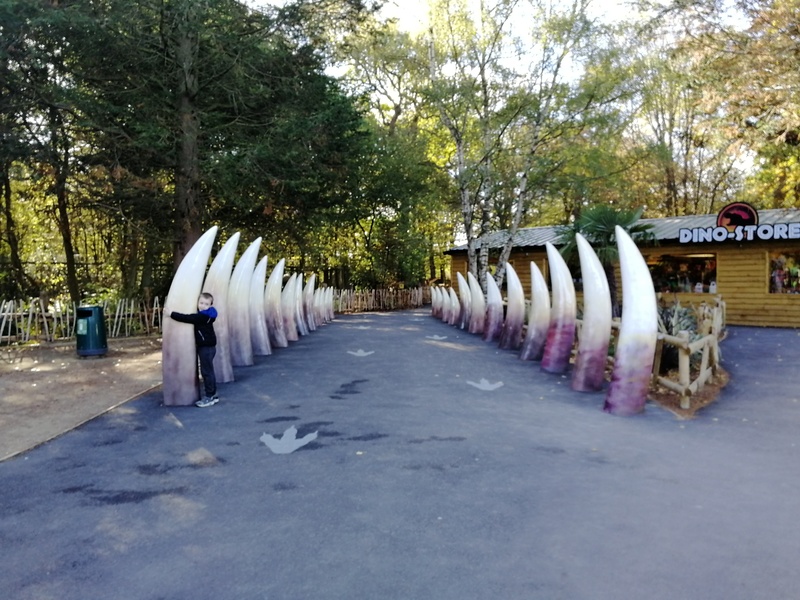 We, of course, had to get the kids to pose by the penguin scale and see which penguin they were most like in size and my son, being the poser he is, couldn’t resist posing with the Halloween decor that was dotted all around the park.Even before you visit the World of Dinosaurs, the park is great fun for the whole family. 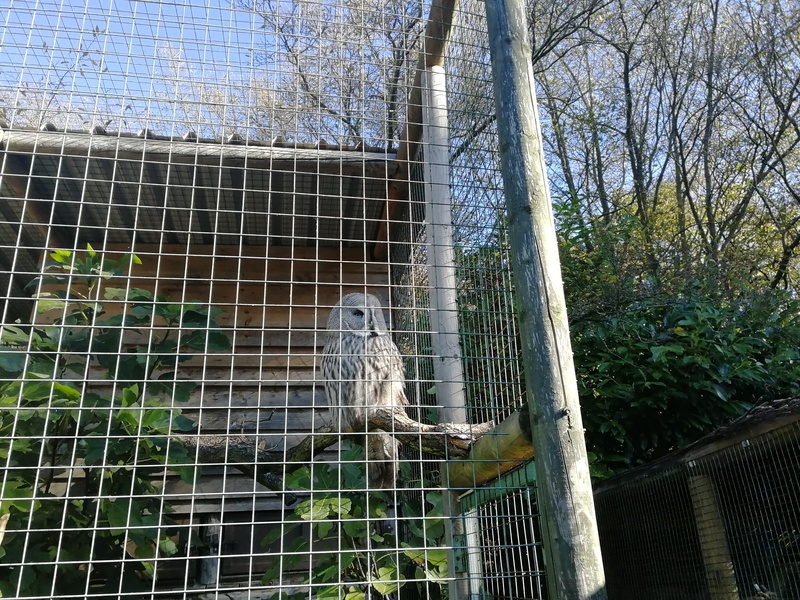 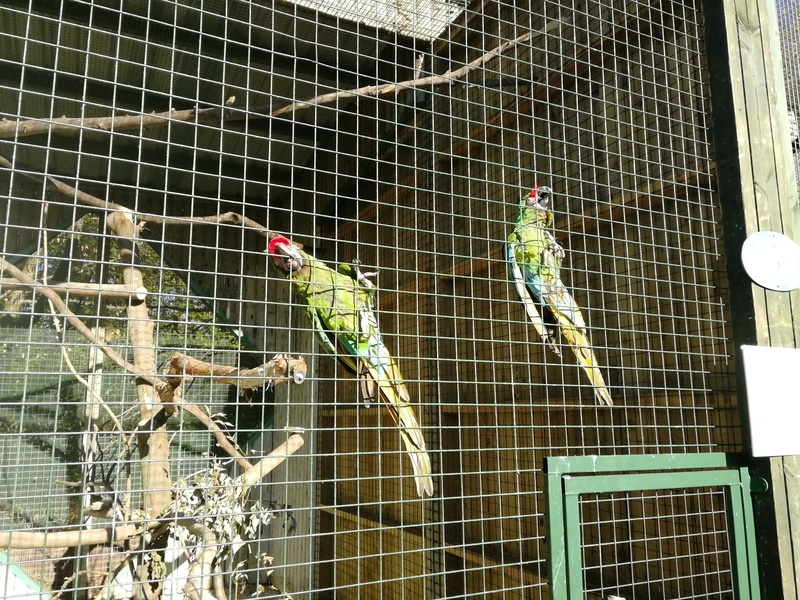 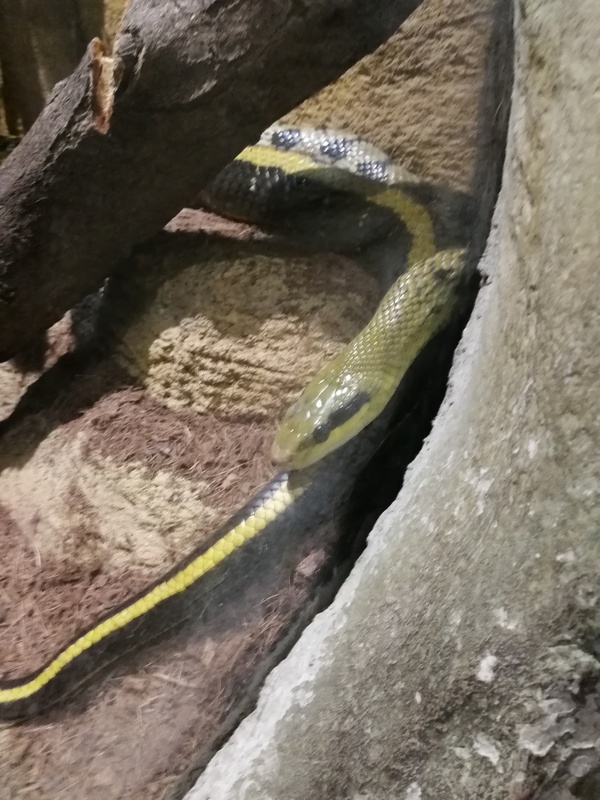 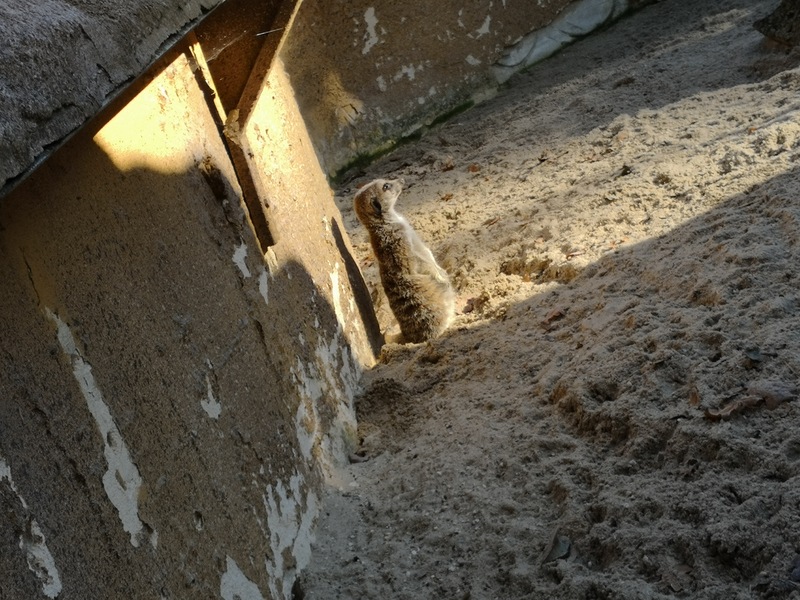 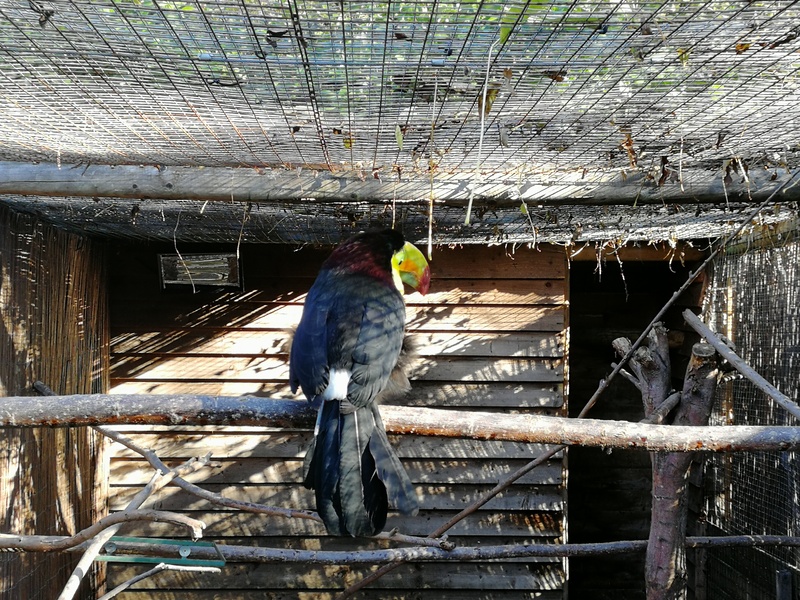 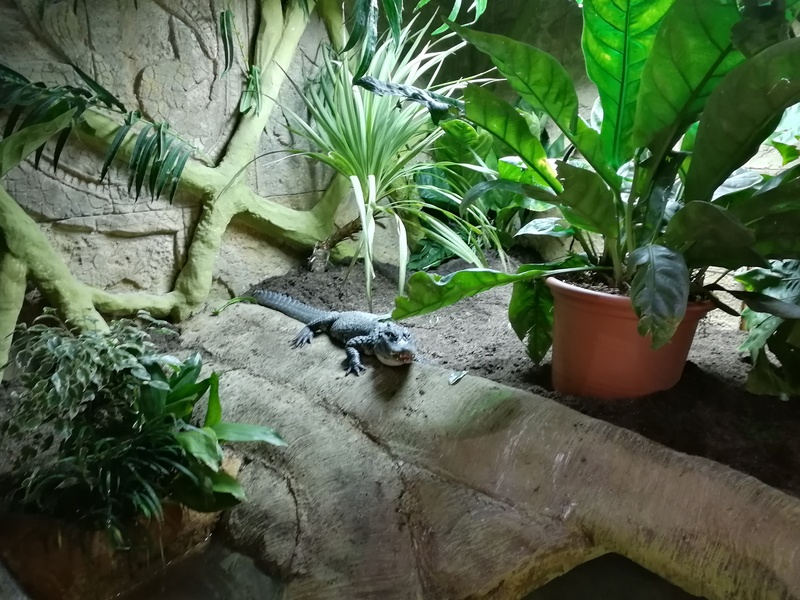 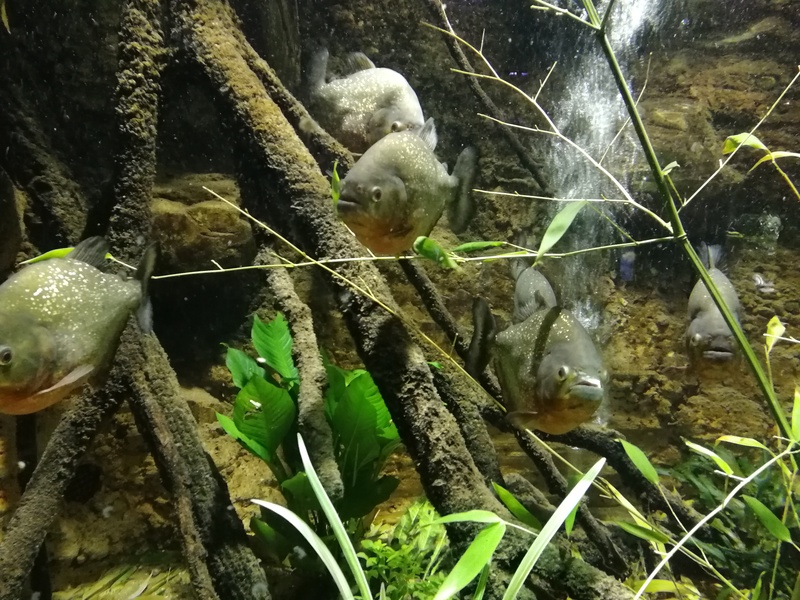 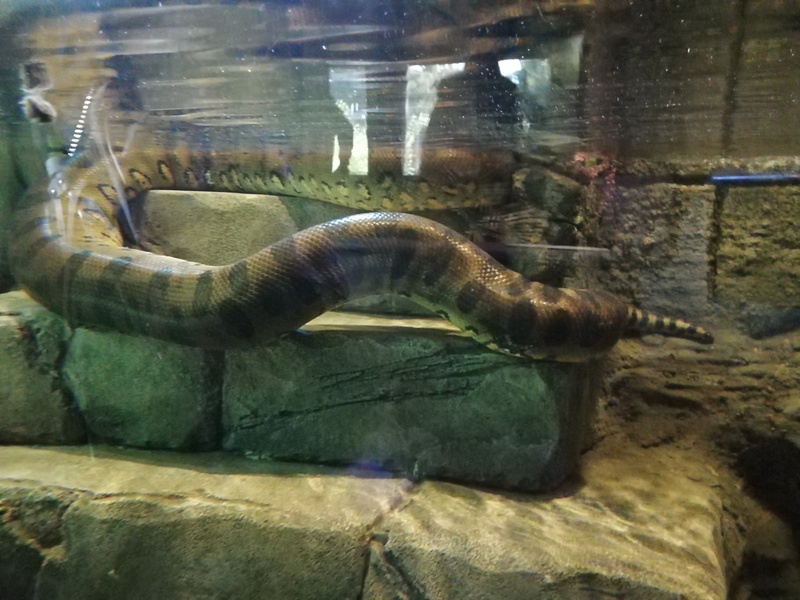 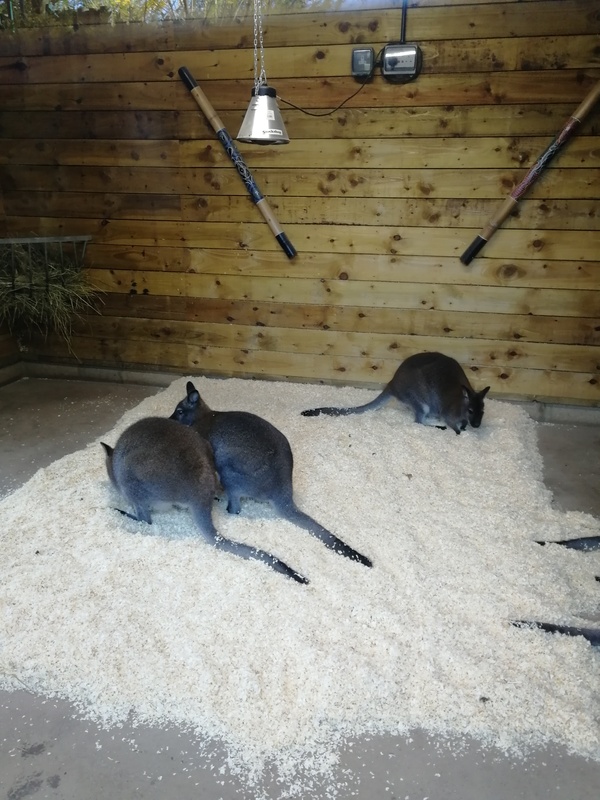 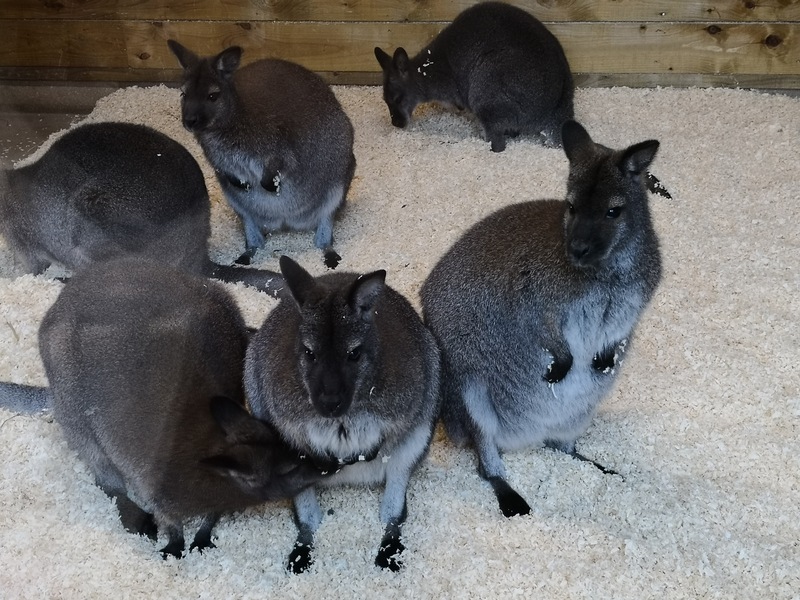 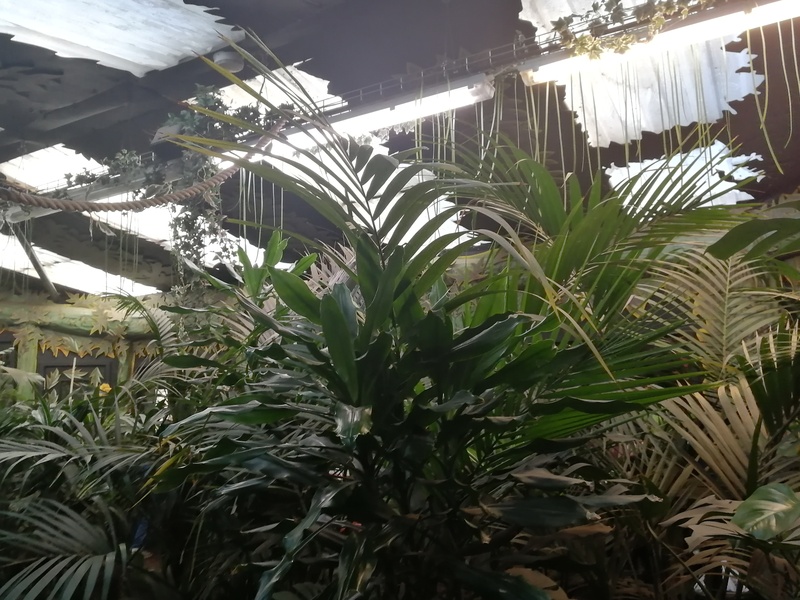 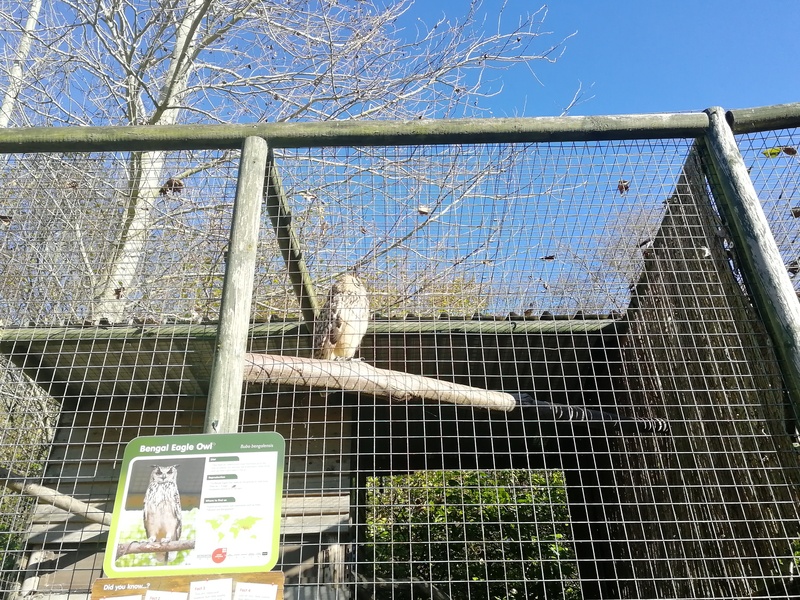 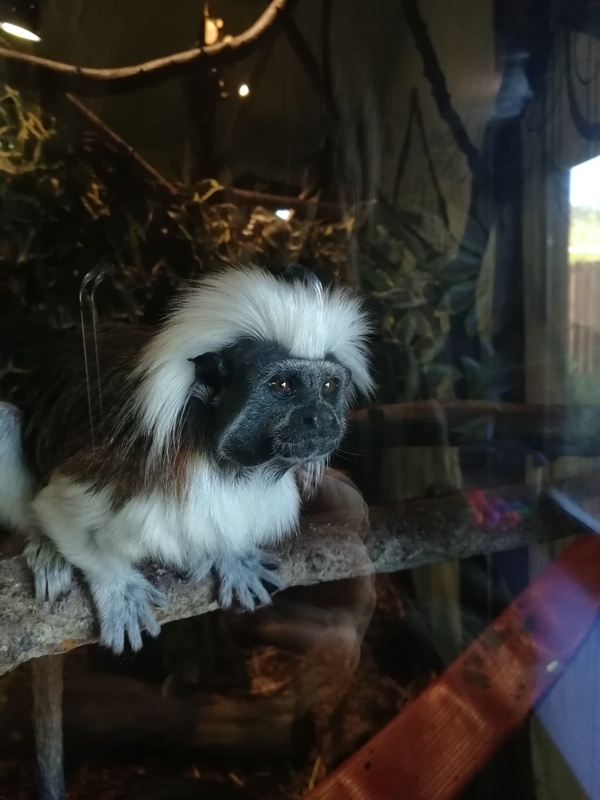 There are plenty of animals to see, various activities and experiences such as feeding the parakeets at certain points of the day, watching the animals be fed, listening to a person who works there talking about a specific animal. 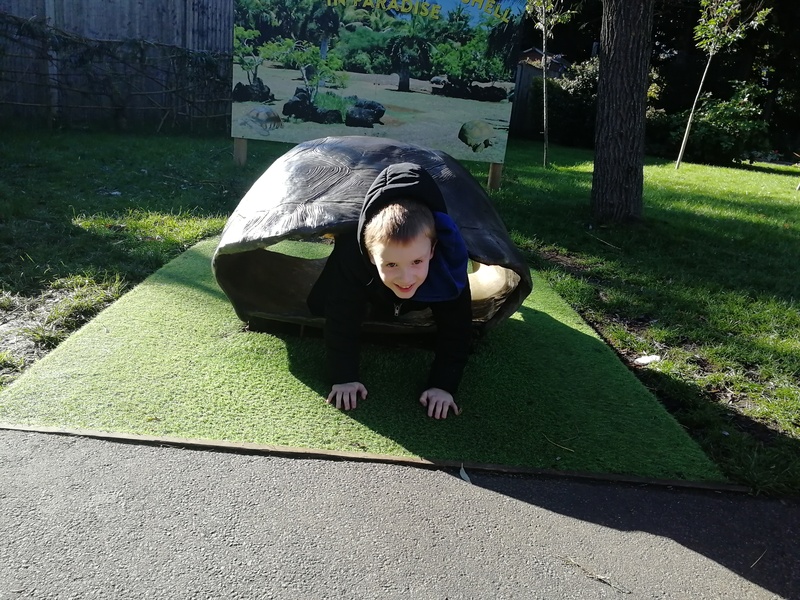 There are numerous places to eat and a variety of slides, swings and other playground equipment for your child to play on, should you wish to take a breather. 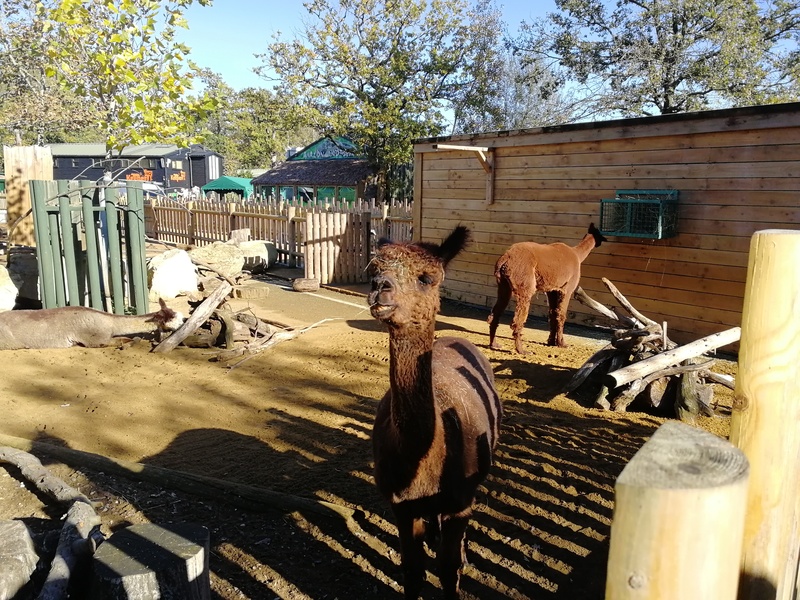 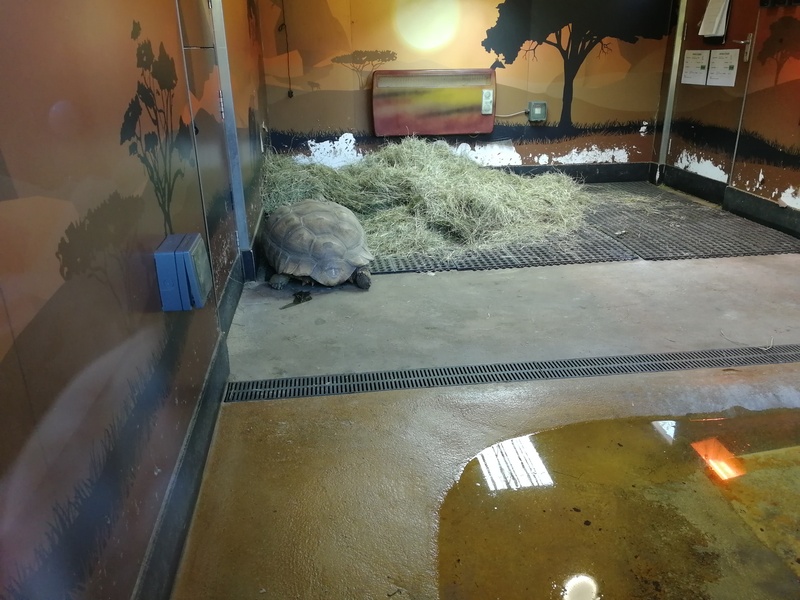 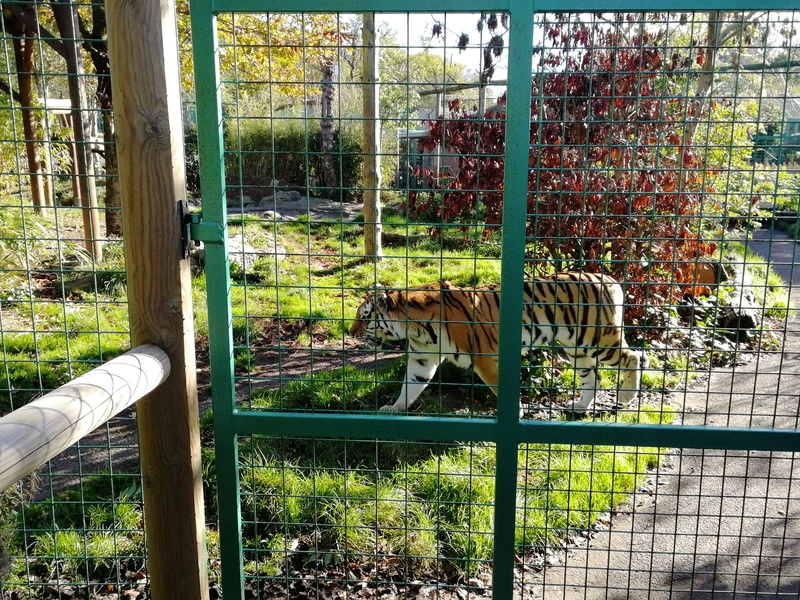 The kids were thoroughly entertained and loved seeing all the animals, Olivia especially as animals – all animals – are her new favourite thing. 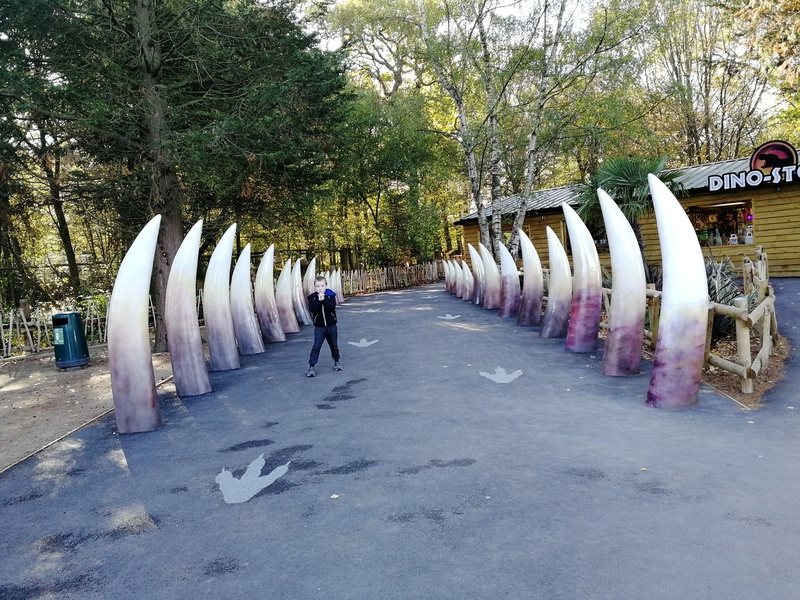 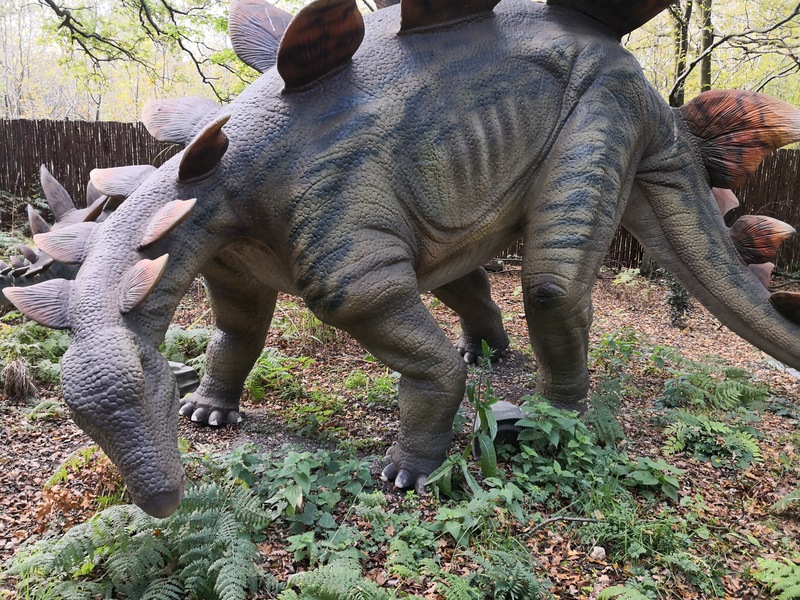 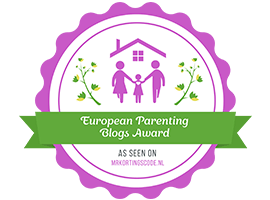 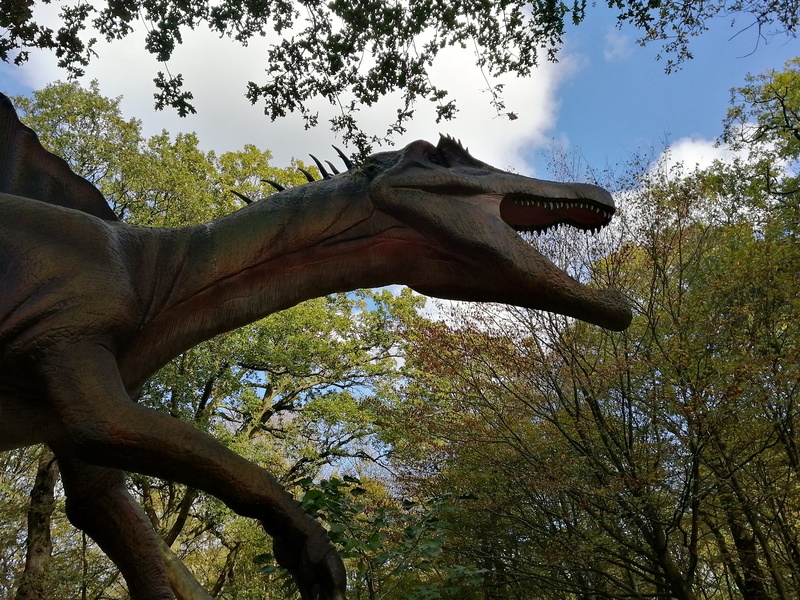 We knew we had to visit World of Dinosaurs before we left and went in with very high expectations, having seen incredibly positive feedback on it all over the internet. 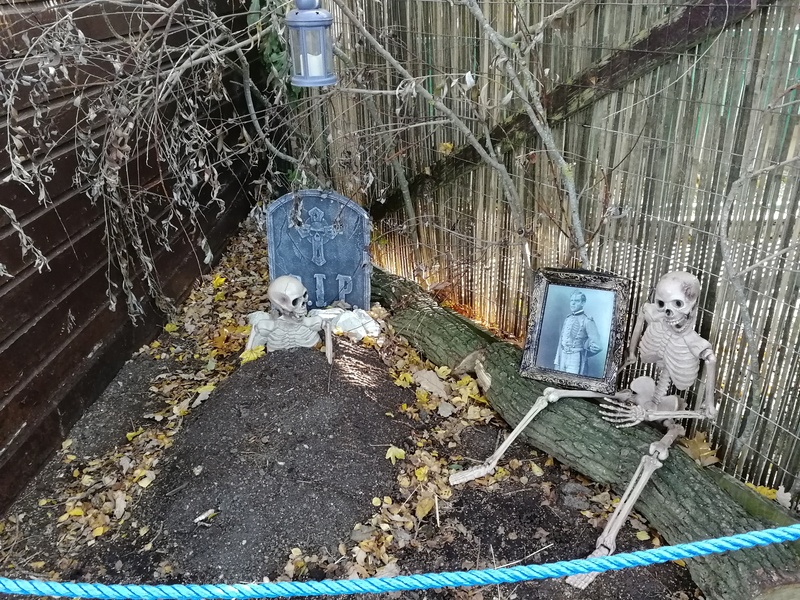 We weren’t disappointed. 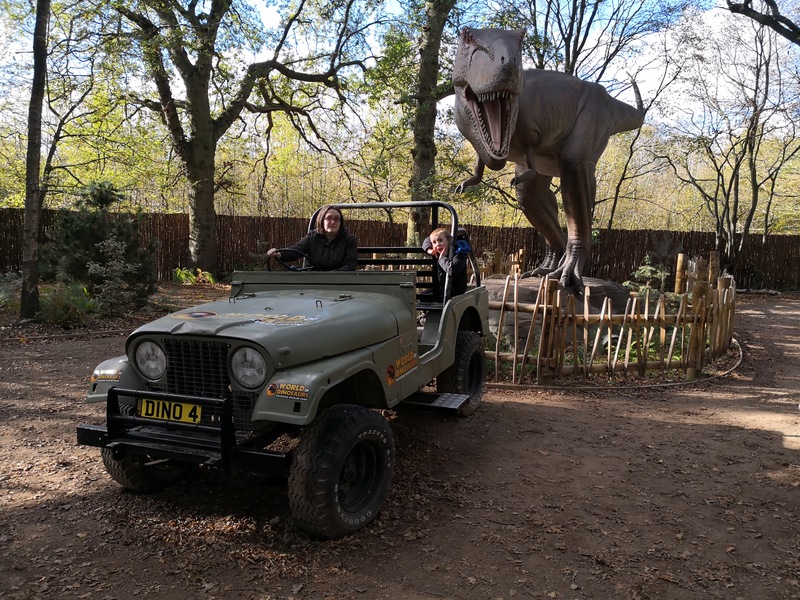 Jack loves dinosaurs as does Steve so I always knew they would enjoy it and whilst I thought Olivia may be a little scared of the dinosaurs, she loved them and relished the opportunities to interact with them – you might even catch her little giggle at the end of our YouTube video at the bottom of the post! 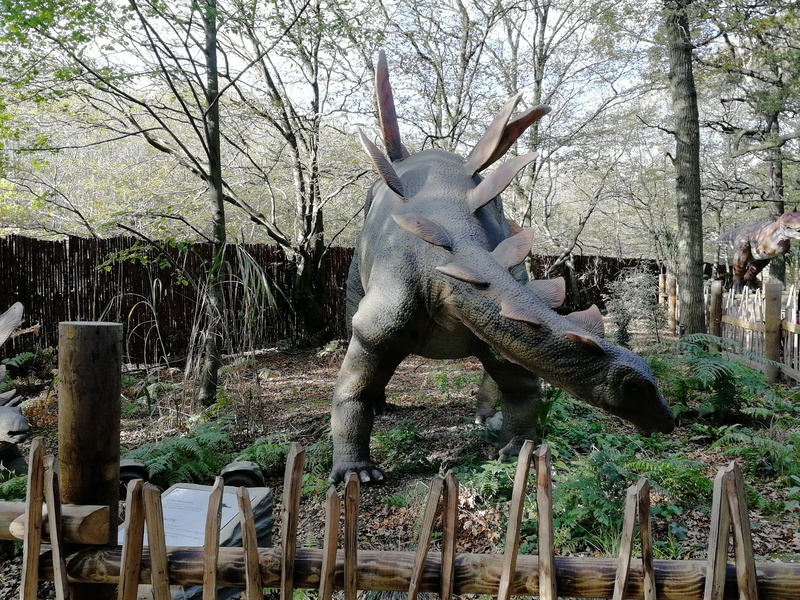 The World of Dinosaurs was absolutely fascinating. 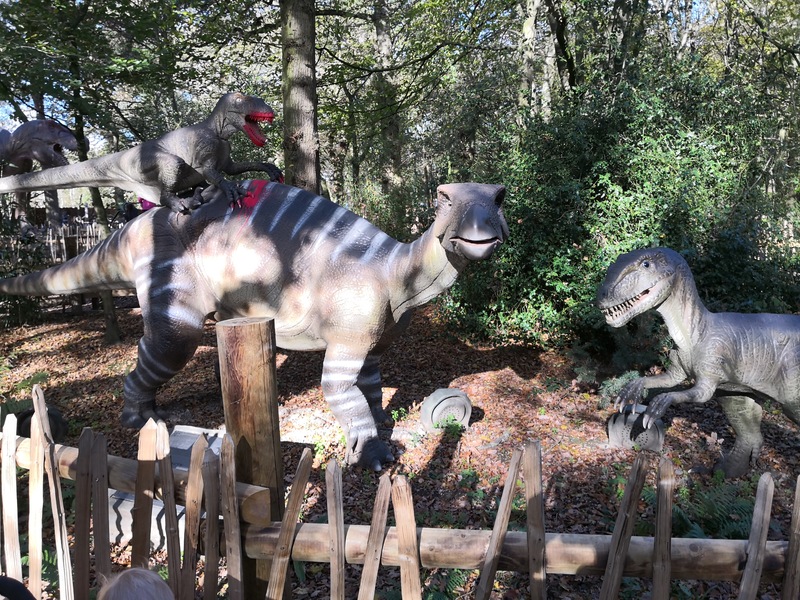 The kids were in awe of the different dinosaurs and the movements and sounds they made. 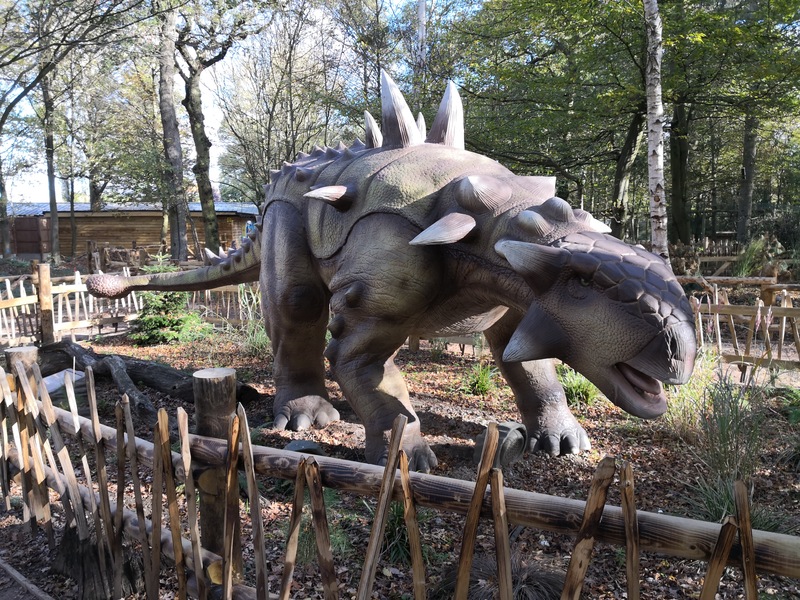 It definitely makes a great addition to an already fantastic park and the kids loved taking a slow walk around to look at them all. 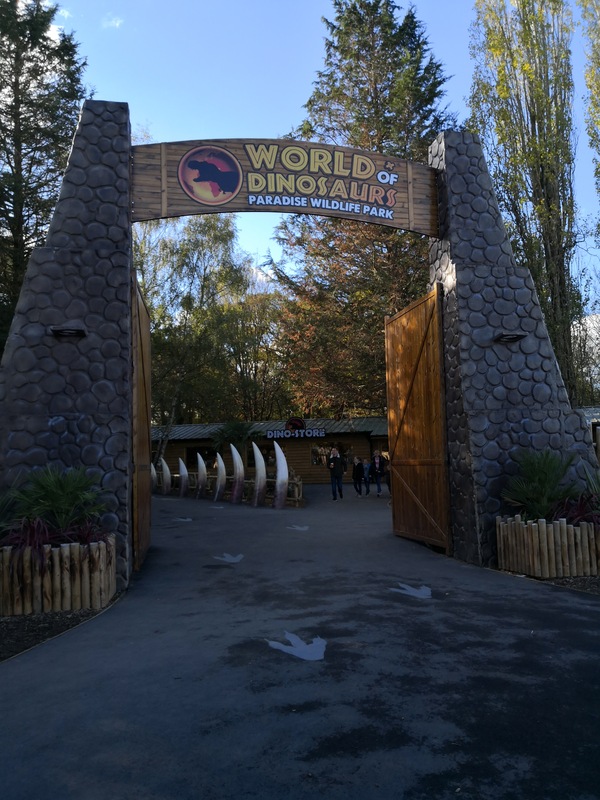 They also very much enjoyed visiting the dedicated gift shop in the World of Dinosaurs with Olivia coming out with a cuddly dinosaur and Jack getting another toy dinosaur for his collection. 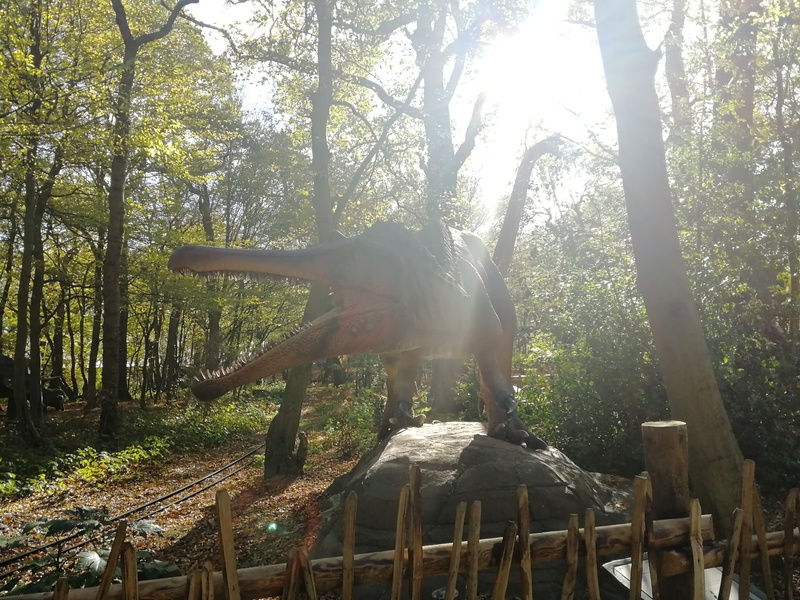 We’ll definitely be visiting again, especially to see the dinosaurs again – we might even take some of Jack’s friends next time! 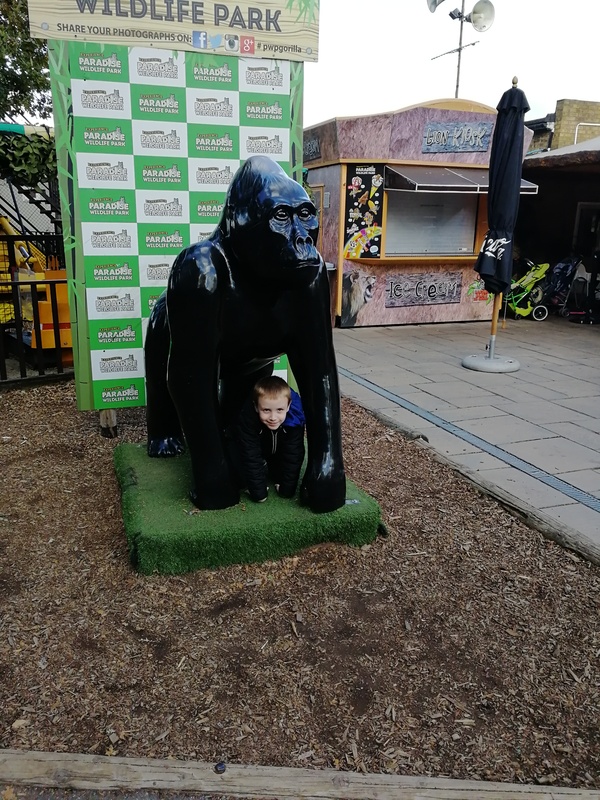 Before we left, there was just some time for Jack to act like a gorilla and then we headed home, happy after a fun and fab family day out. 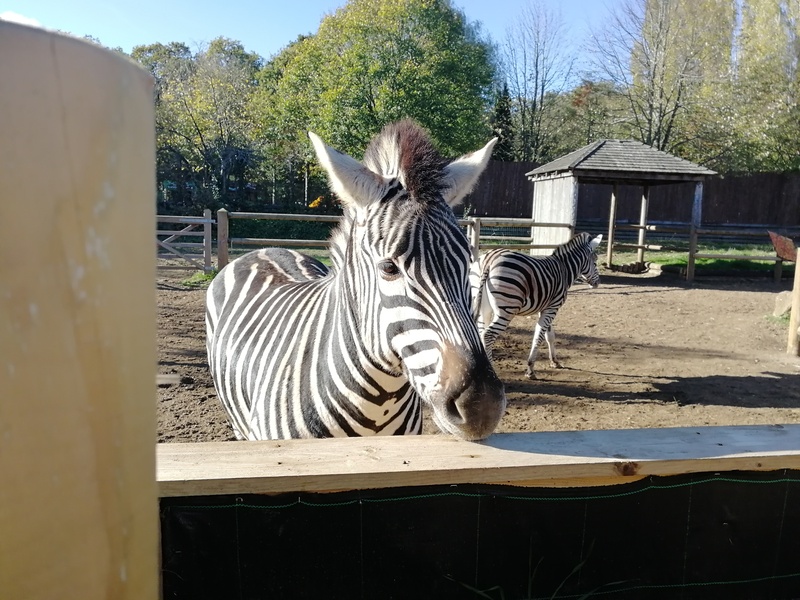 We are incredibly lucky to have such a wonderful place so local to us and will definitely be heading here again. 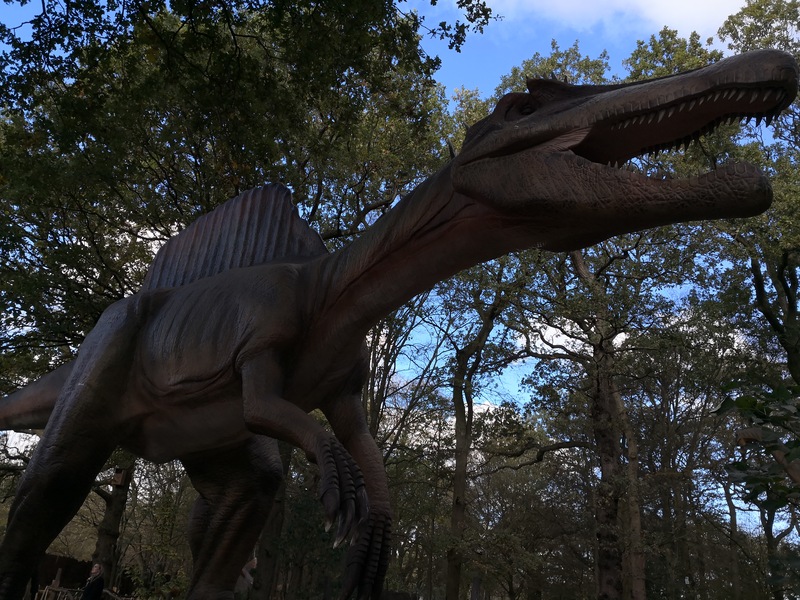 Be sure to check out the video below for some snippets of the World of Dinosaurs! 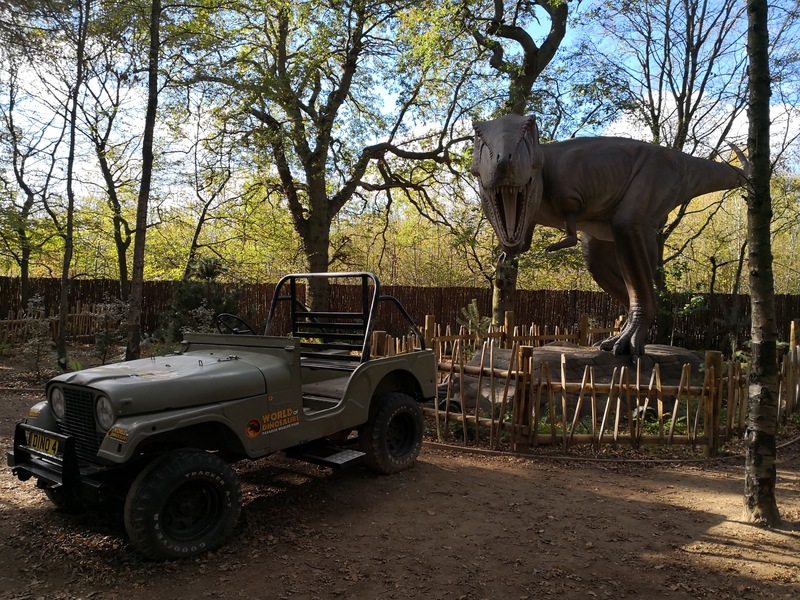 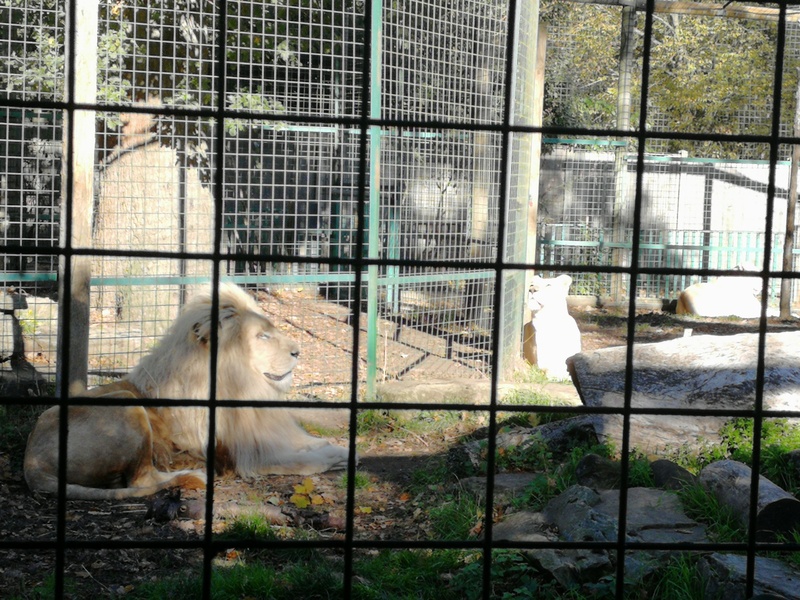 Have you ever visited Paradise Wildlife Park? 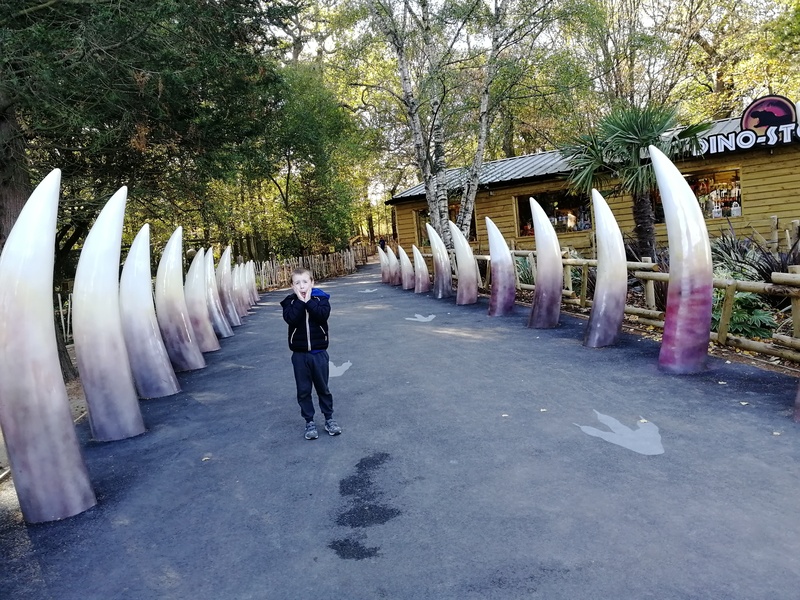 Looks like such a good place to visit , we as a family love taking trips around places such as this and very handy at half term too. 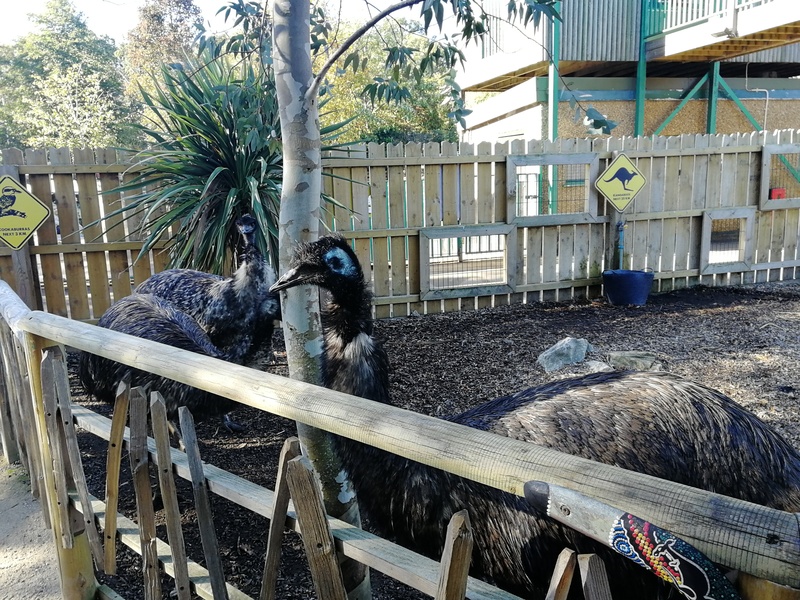 It’s a shame we live so far away as Paradise Wildlife Park looks like a great place for a fun family outing! 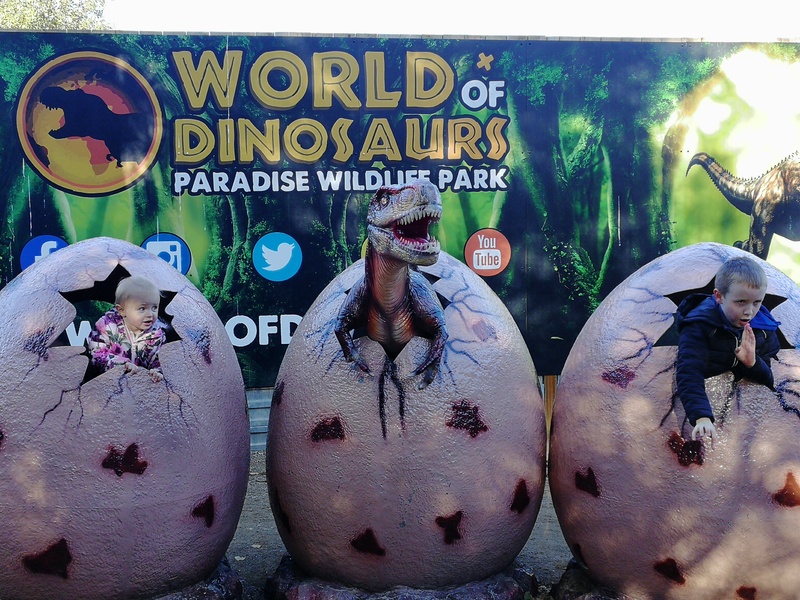 My two little nephews would love the dinosaurs and my own kids would really enjoy seeing all the different animals. 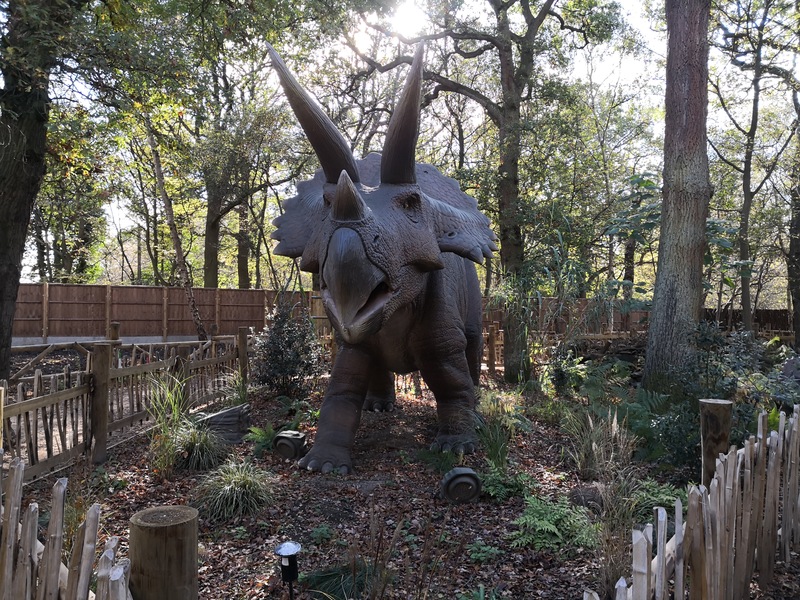 Wow, this place looks like it is lots of fun to spend the day – especially over half term! 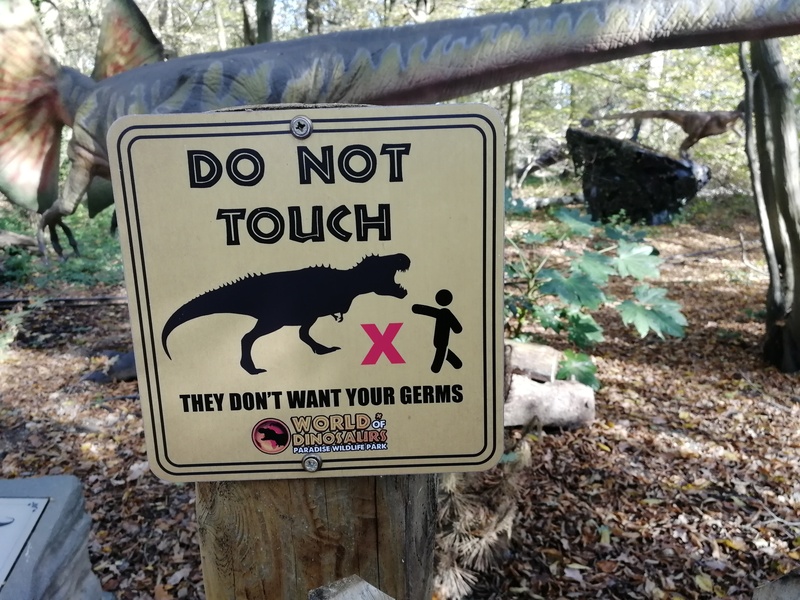 I hope you guys had fun! 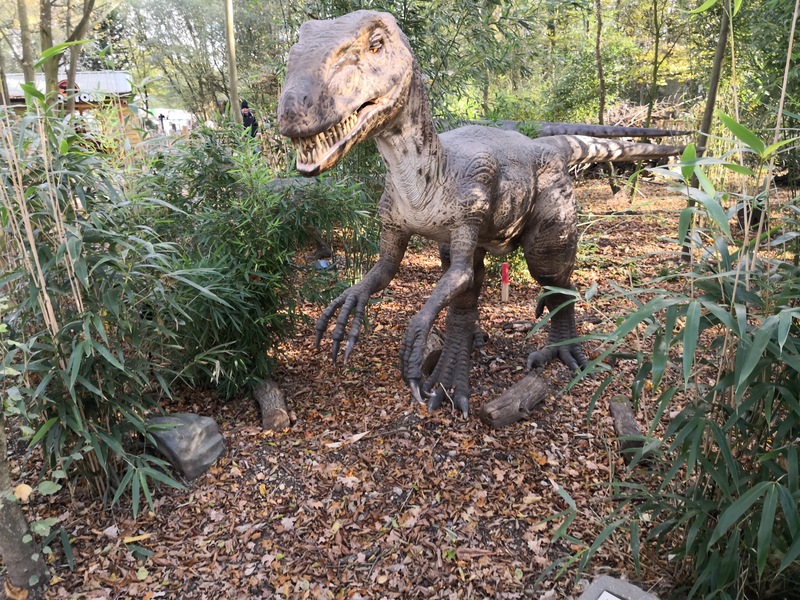 What an amazing park with so much to do. 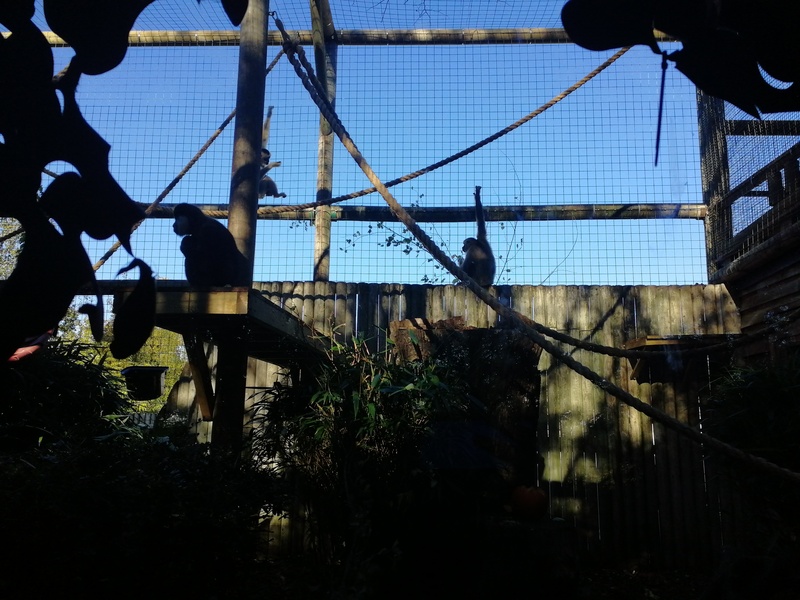 I love places like this that have extra activities like animal feeding too.